« What did the sign over Jesus’ head say? 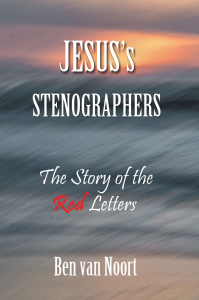 During the process of writing and editing the book ﻿“﻿﻿﻿Jesus' Stenographers” the editor regularly gave expression to what he saw as a privilege on working on this project. He has given permission to share with you his experiences. In this chapter the reader is invited to consider the way how Jesus’ writers worked. The three basic texts for the documentation theory are introduced and discussed here. In this chapter the reader is faced with the fact that the theological world in general has accepted the theory that Jesus spoke Aramaic in his teaching and consequently lost the belief that we possess the original words of Jesus Christ. Main question is: But is it true? In this chapter the author takes you to the first age B.C. and the first age A.D. in the Roman Empire. How did one deal with the spoken word in written text? Than the focus is on the invention of stenography by slaves. The foundations of this art of writing – one writing sign per syllable – are still practised in today’s stenography, though it is more sophisticated now. Who were Jesus’ stenographers? Is it possible to trace them? Also the inadequacy of usual theories concerning the gospels. In this chapter we are confronted with four different types of reports being made in Jesus’ Ministry. They became the ingredients for the four gospels respectively. In this chapter we see the coherence between the four gospels. Luke’s gospel represents the first generation, the bystanders of Jesus. The gospels of Matthew and John, books of real apostles, are connected with the second generation, the church in Jerusalem under Peter’s leadership after Pentecost. Mark represents the common (everyman's) gospel. We also see that they were written side by side for the first Christians in Jerusalem. Here the reader is confronted with the rules followed by the stenographers in presenting the sayings of Jesus. The introductions of the sayings (said, answered and said etc.) are signals whether a complete representation is given or only in part. Most differences between the gospels concerning the spoken word are related with rules. It is possible for us to use the rules of Jesus’ writers to analyze the spoken word. And so the differences disappear as snow in the sun. In this chapter the notion of Living Patterns is introduced. As the gospels are reports of events it is quite natural to deal with many details showing the living context of an event. A living context is not infrequently a Living Pattern that is profitable in gospel explanation. Having presented the premises of gospel explanation from the point of view of stenography the time has come to compare many stories concerning their similarities and dissimilarities. "I am repeatedly amazed by reading things that I not only didn't know, but had never even THOUGHT about before!" A chapter about the New Testament canon of 27 books. Many theologians have their doubts about the canon. Is it possible to reconsider this subject and conclude that we have without hesitation the right books in the New Testament?